My friend Gaby Dalkin has a terrific cookbook out called Absolutely Avocados, with tons of terrific avocado recipes and ideas. 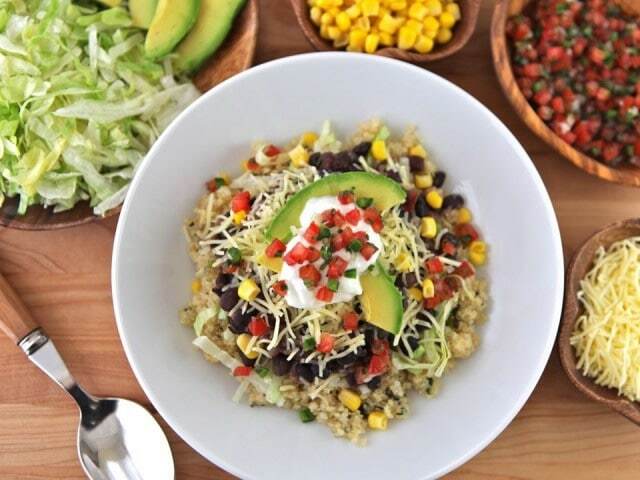 It’s worth checking out if you love avocado as much as I do. Avocados are best when slightly soft, but they have a habit of ripening quickly. I like to buy my avocados when they’re still slightly firm so they don’t become overly ripe before I use them. If necessary, you can always speed up ripening by storing them in a paper bag along with a banana overnight. Be sure to add them to your lunch if you’re in need of a quick pick-me-up. In the mood to be adventurous? Try them for breakfast! Their buttery texture makes them a nutritionally powerful topping for toast. Mash them up and spread them onto toast like butter if you’re vegan or lactose intolerant. Add a little sprinkle of sea salt, and you’ve got a seriously tasty, healthy way to start the day! 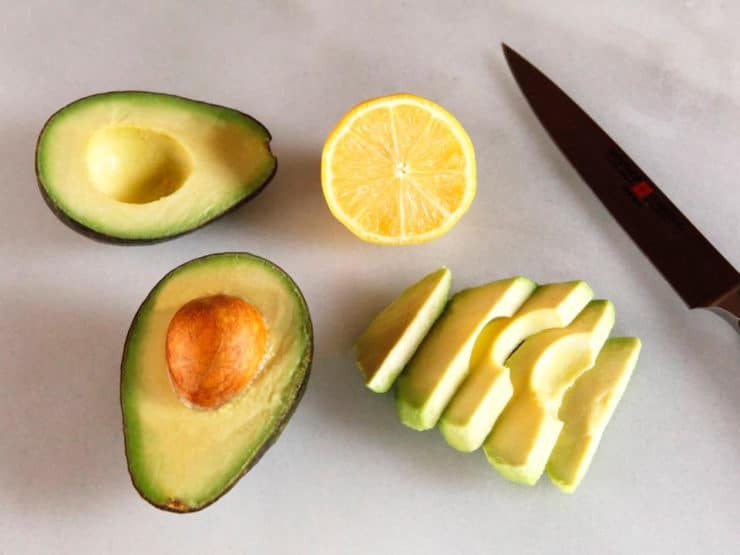 How to slice an avocado - step-by-step photo tutorial for slicing and peeling an avocado + healthy recipes featuring avocado. 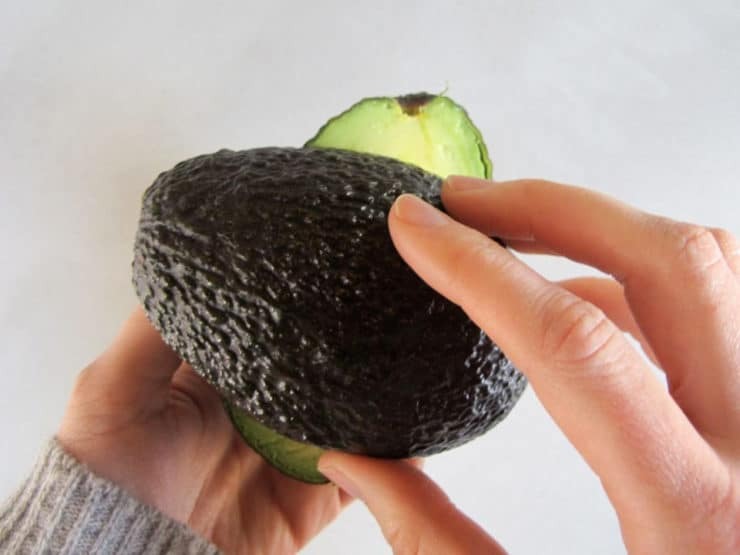 Before slicing open your avocado, use this quick trick to test for ripeness. Gently remove the stem and check the color of the avocado flesh beneath. A yellowish green is unripe, bright green is perfect and brown means your avocado is probably past its prime. It should yield to gentle pressure but not feel overly soft when squeezed. 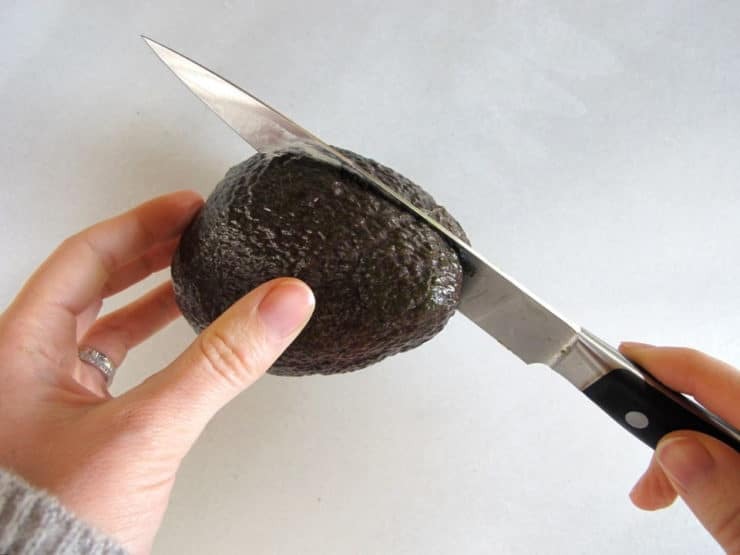 Start by inserting the blade of your knife into the avocado. 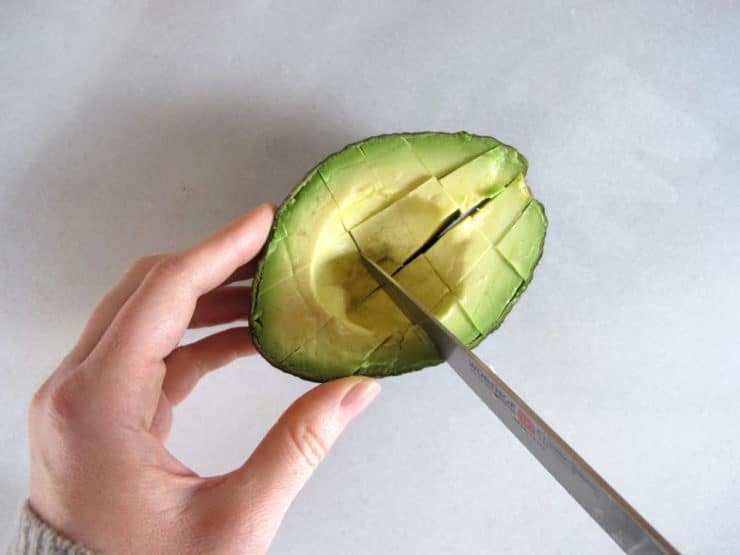 Then, very carefully with the knife still in place, turn the avocado around the blade so that you make a circular cut all the way around. 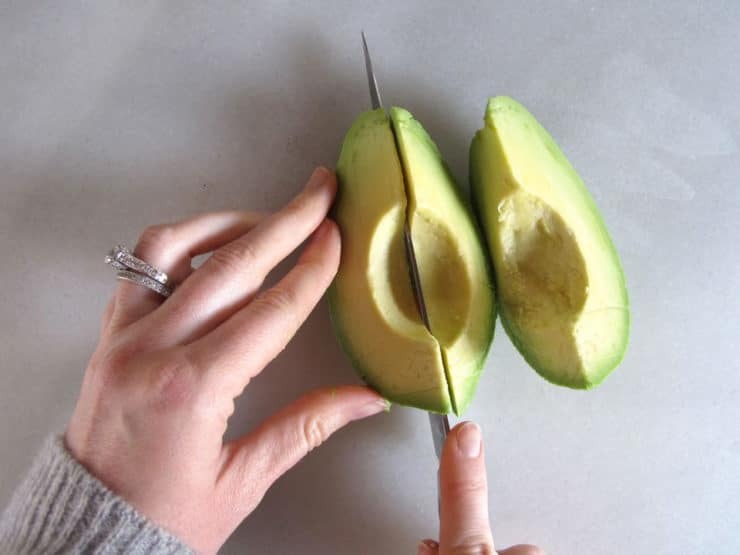 Use your hands to twist and separate the two halves of the avocado. Now you have 2 avocado halves. The pit will be left in one half. 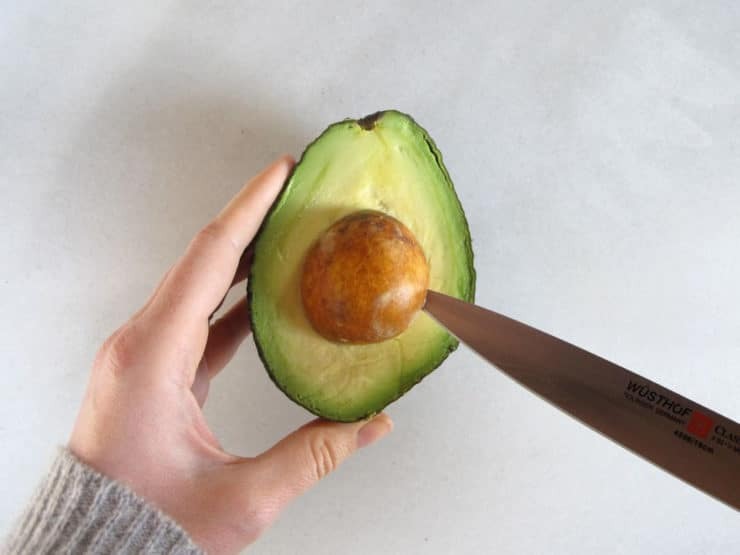 The pit can easily be removed by very carefully and gently inserting the point of your knife into the surface of the seed, then lifting it out. 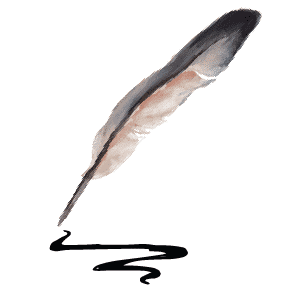 A gentle twisting motion sometimes helps. 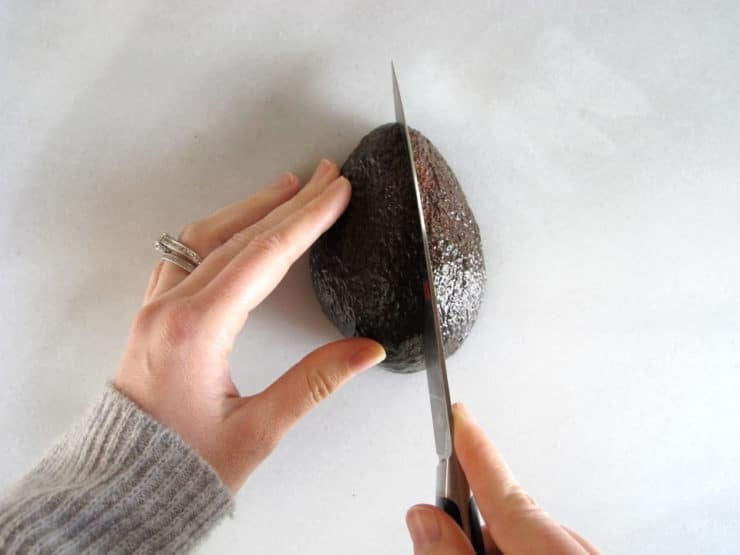 At this point, there are two ways you can go about slicing the avocado. The first method is my favorite. Turn the avocado halves flat side down against your cutting surface. 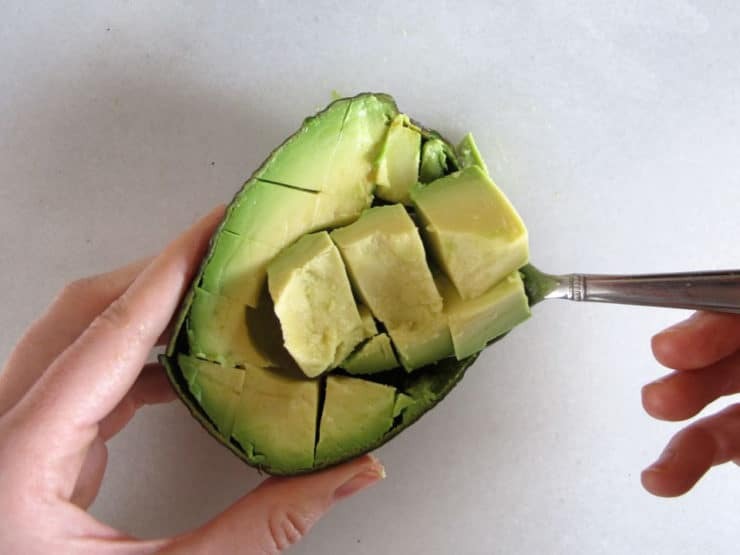 Slice the halves in half again through the peel, so you have four quarters of avocado. 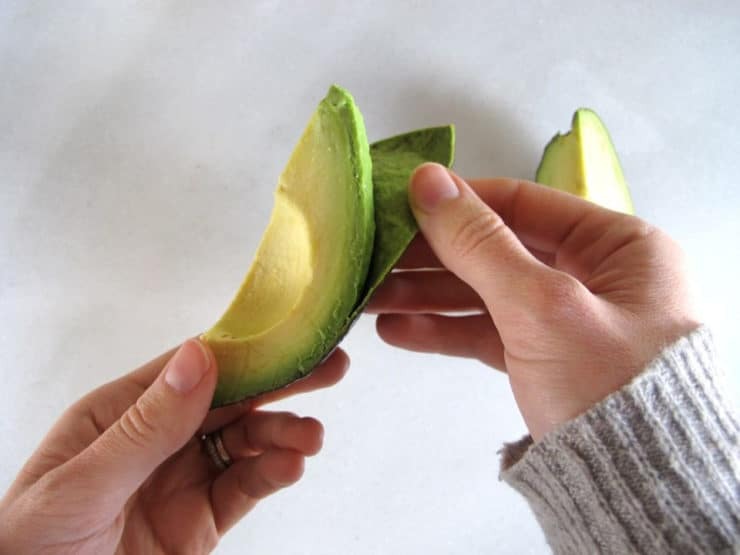 Pull the peel gently off of each quarter; if the avocado is ripe the peel will release easily from the slices. Continue slicing or dicing the quarters depending on what you need. Alternatively, you can slice the avocado in the peel. This method is a bit faster, but won't produce the neatest slices. Slice through the avocado flesh while the avocado is still in the peel, without slicing through the peel. If you like, you can also cut the avocado into chunks by slicing vertically and then horizontally across. Remove the sliced or diced avocado by scooping out the flesh with a spoon. 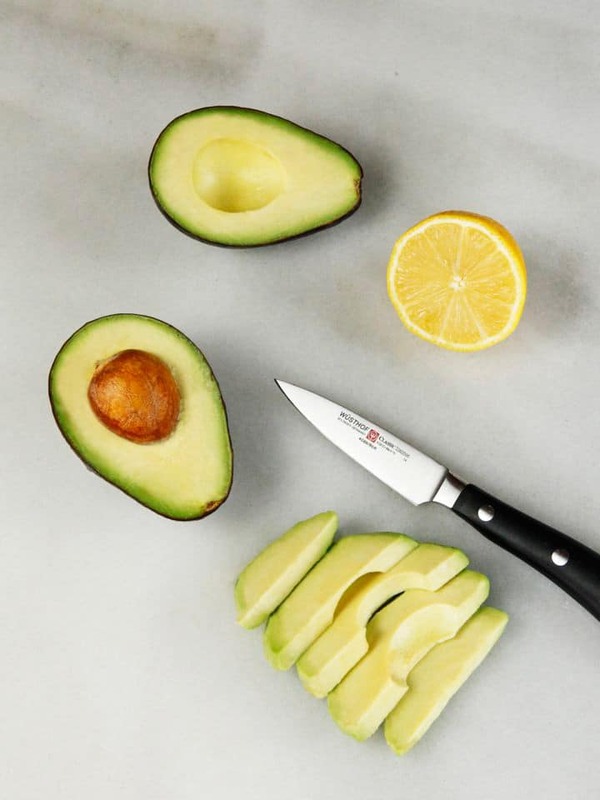 If you don't plan to eat the avocado immediately, have a lemon on hand to squeeze fresh lemon juice on the slices. This will help to keep them from browning. 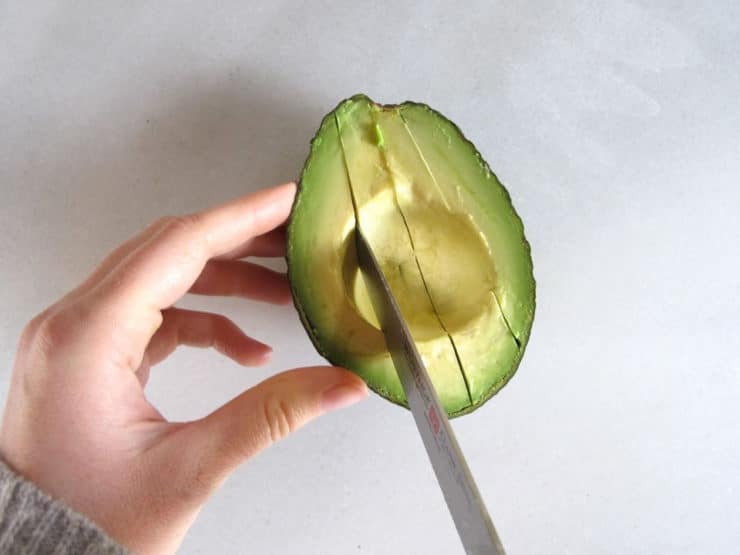 After years of not very satisfactory peeling avacados, I have found that once in half, the easiest way to get the skin off is to scoop the insides out with a serving (table) spoon. Ideally get hold of an old-fashioned deep spoon, but any decent sized spoon will do. For perfect results, just run a knife round the top of the edge where the flesh meeets the skin before you scoop out the flesh. Hi Marina, usually you need to keep it whole for it to ripen properly. It doesn’t ripen in the refrigerator, so I usually put it in the refrigerator when it is ripe if I can’t eat it right away. This extends the shelf life by a few days. Try some lime juice instead of lemon juice next time you season an avocado. It seems like a slightly better fit. My favorite sandwich? Sliced avocado, one slice of baby swiss, one sliced hard boiled egg, on bread with a light shmear of mayo on each side of good bread. It’s a dinner! After opening the avocado I lay the side with the seed on my cutting board, seed up. Then I take my chef’s knife and chop strongly into the seed. The knife sticks, I carefully twist the seed out and deposit it in the organic trash bucket. My son, who is a sous chef, showed me this trick. That’s what I do too to get the pit out. As for getting the avocado flesh neatly out of the skin, I use a grapefruit (curved end) knife. 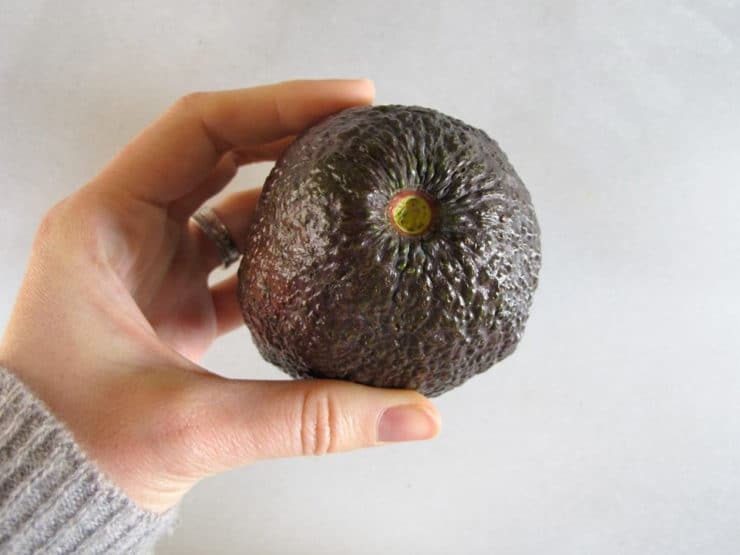 Works like a charm, even on avocados that may be a bit on the underripe side. Just had avocado in a low carb wrap with red leaf lettuce, red onions, crushed spicy olive bruschetta topping, Sardines, squeeze of fresh lemon & olive oil. That has become my new breakfast! Smear them on some sourdough bread top with shredded cheese, I like Jack, and toast the top in a toaster oven! <3 avocados!! And, yes, I have had them mashed and on toast! Celish! I love to smush it up and mix with cottage cheese. Very good. I eat mine on Wasa crackers, mashed with sea salt like you mentioned. On matzah with crushed red pepper! It’s good on a bagel! My mouth started to water!!!! Lovely on toast with vegemite as well. All you need is a knife , a spoon and salt cut open enjoy . Uh, yes of course. Avocado tastes wonderful and is so versatile. Tis really good and only 1 romaine leaf cause of bitterness if you’ like it add more! I love to marinate the slices with champagne vinegar only for 5 min ( longer makes it melt) but I have this great salad w it! Sautee wild mushrooms like shitaki and let them be ice cold, chop finely red onion , , peel zucchini& grate long strips, grat long strips carrots and chop small kale& 2 slices or romaine chopped. Toast pecan nuts chop in chunks. Vinaigrette 1 cup white champagne vinegar, i tsp honey & salt& pepper to taste, 1 tsp coarse ground mustard or I like a kick, i put 1 tsp dry mustard powder shake it up and pour over lightly toss serve in avocado shells! I had this in New York city Brooklyn at a coffee house. If you can find Sharwell avocados they are far superior to Haas in every way. Thanks to this post I picked up some avocados to make with dinner. Yum! I just cut in half like your photo. Take a teaspoon and mash within the half Avocado adding course black pepper and sea salt to taste. I eat it right out of the shell or use a cracker to dip out. That’s a pretty avocado you have! I could live on them. I put them on just about everything except pizza! Birmingham SeventySix -is there still a cherimoya orchard there? I haven’t had one here, only in Peru! Love to know where I could buy some! I love avocado with grapefruit on toast! You are such an artist! Oh my! Love it in my Smoothies … Adds a great creaminess with out being bad for you ! When I add my avocado to a salad, I place the entire pip into the center of the salad. I have no idea how it works but it keeps the avocado from going brown for a few hours. Try it and see. It really works.